After googling ‘things you should ask your wedding photographer’, we sent these questions along with our introduction to obtain quotations from five of the recommended photographers on Upwaltham’s site. We could see the advantage of selecting a photographer who a) knew the venue well and b) who was recommended by the venue. The last point being that the venue and photographer know how to work together on the day, taking pressure off the couple and because they are obviously pleasant to work with too if the venue is recommending them. 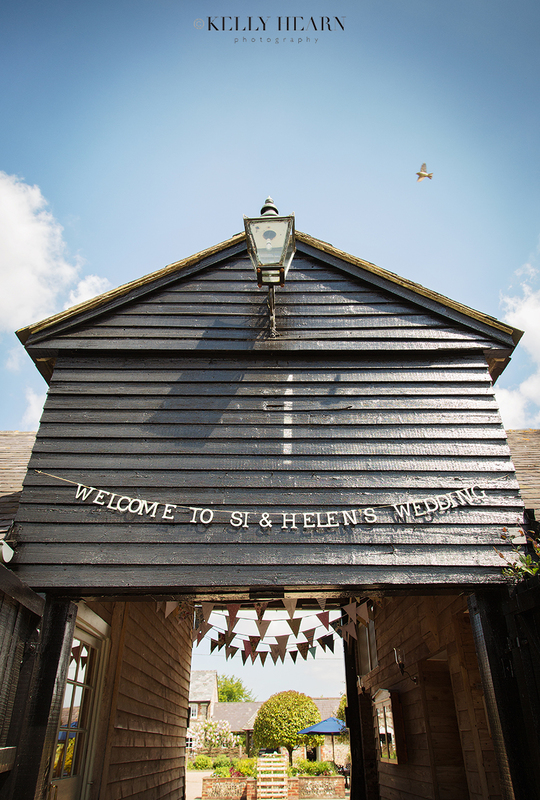 At a previous wedding elsewhere, we saw another photographer take fantastic photographs but annoyed everyone at the venue due to their style – we certainly did not want this unease on our happy day. When we looked at Kelly’s website it again showed us how outstanding her work is. 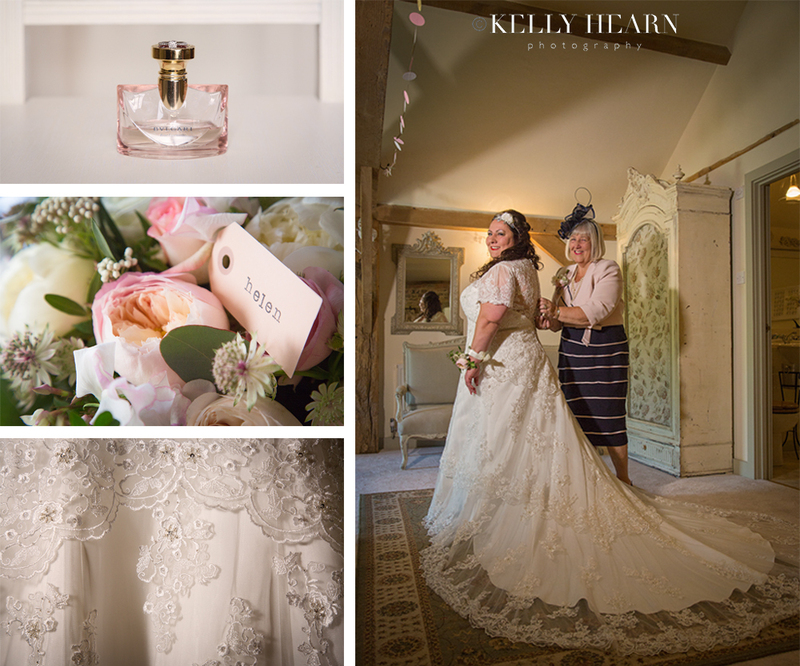 Wedding Photographer of the Year - it is not just a job for Kelly but a real passion and a love for capturing a moment as naturally as possible, this was exactly what we were looking for. Following receipt of these five quotes, we shortlisted and spoke to three different photographers. 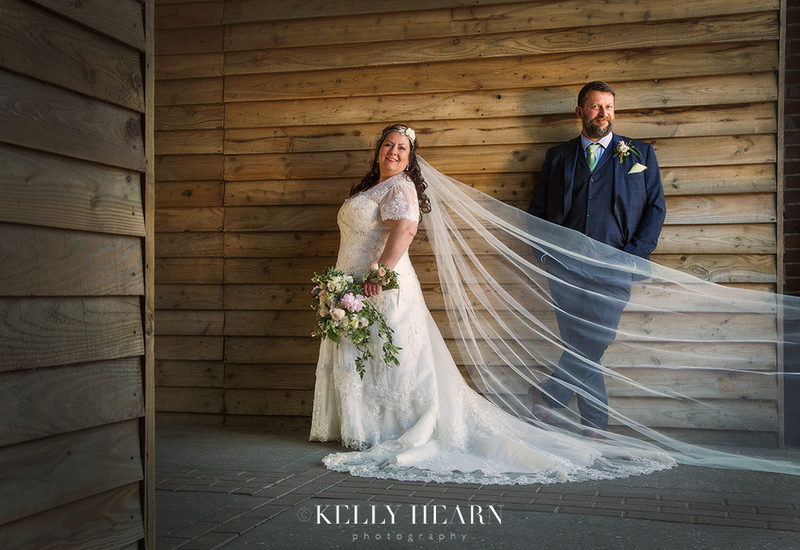 We found Kelly’s pricing model to be competitive with other photographers (not the cheapest, but we didn’t want cheap and certainly not the most expensive one either), we were delighted especially once we spoke and found out she had our date available. The pricing model options worked well for us too as we could choose what we could commit to financially. One of the most important things for us is that we had someone we could build trust with, since we lived nearly four hours away from where we were getting married (and Kelly). We both felt that we had that trust with Kelly through our email and telephone communications early on and before we even met face to face. Also, we are an older couple and therefore not so confident being in front of the camera. We trusted Kelly with this. 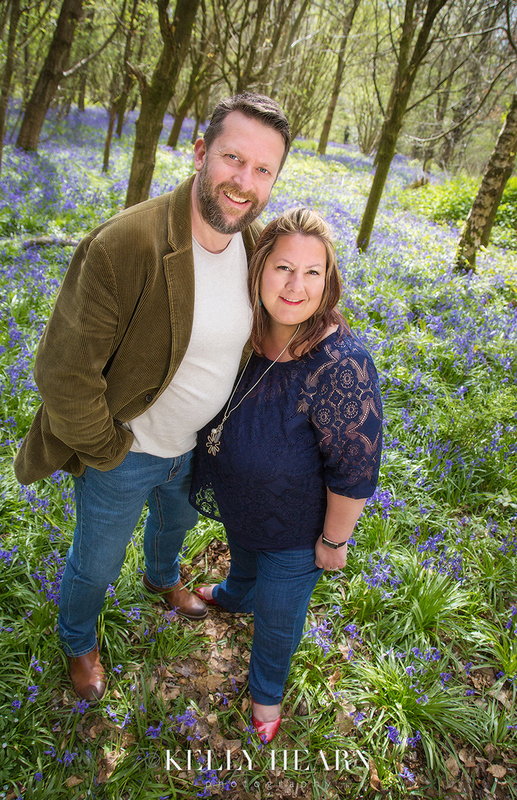 Our first face to face was in the Spring, whereby Kelly (and the equally lovely Rachel) suggested we do our planned engagement shoot amongst the beautiful bluebells at West Stoke. This was such an enjoyable morning together. We instantly hit it off and spent some lovely time enjoying the scenery. For us, we found this shoot really beneficial, not only do we now have the most beautiful framed photograph of the two of us amongst the bluebells in our jeans, but it helped us to understand what was required of us on our wedding day, how to stand, how to place your feet, all of these stances to get the most natural photograph. We left that meeting more excited for our wedding than ever. The next time we met Kelly was at her studio. Kelly’s studio speaks volumes in terms of her style and professionalism. We were always greeted with a warm smile, fresh coffee and cookies (it is the little touches, especially for Si!). From pre to post wedding, it was always exciting to visit the studio to discuss plans or view photographs. Pre wedding, Kelly asked us who all the key players were in our family and wedding party. She made a note of everyone’s name. I asked Kelly if she would like a photograph of key family members on a sheet to help her on the day and she politely declined and said not to worry as she had her own process. Rachel told us that Kelly remembered on first introduction who these key players were by name – she said, “I don’t know how she does it, but she always remembers”. Rachel was not wrong as we would find out on the day. This looked very easy for Kelly when she was calling people for shots (or at least she made it look easy!). On the day itself, when Kelly and Rachel walked into Jasmine Cottage, where I was getting ready, it was like two of my girlfriends showing up and I was so pleased to see their friendly faces. Because we had now built up a fantastic rapport, I didn’t have to worry about them, I just trusted them to do ‘their thang’. You cannot describe that kind of support – they were amazing. 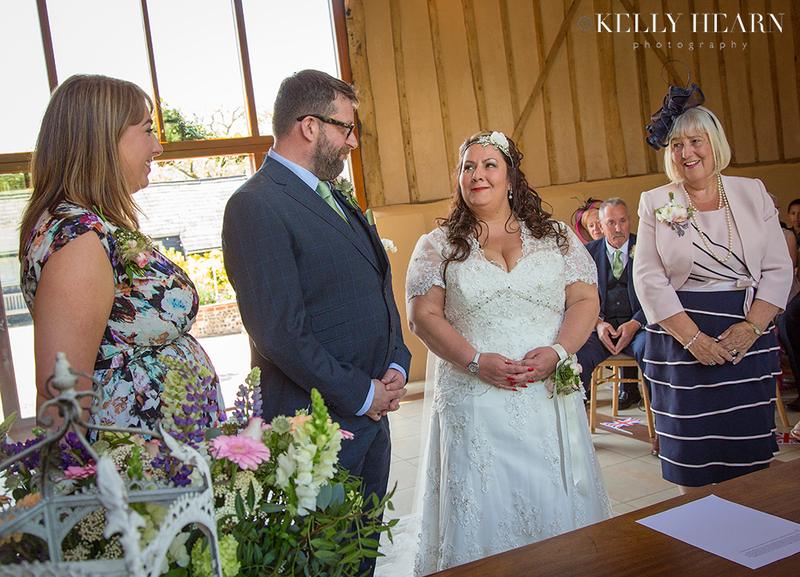 Throughout the wedding day, Kelly checked her list to ensure that she had photographed everyone that we had asked her to beforehand, ticking names off as she went. Rachel also took some beautiful photographs too – we were spoilt. We both enjoyed Kelly’s style and she got what she needed from everyone in the most friendly way – she commanded authority but not through being bossy but by being engaging. One of the things that really blew me away with Kelly’s style is how amazing she is with young children. The way she physically got down on their level, the way she engaged with them, the poses that she got them to hold (naturally) whilst she repositioned herself in order to take photographers was staggering. I don’t believe another photographer could have achieved this like she did. The day after the wedding lots of family and friends commented on how lovely Kelly and Rachel were. We were pleased to hear them say this, although we already knew. 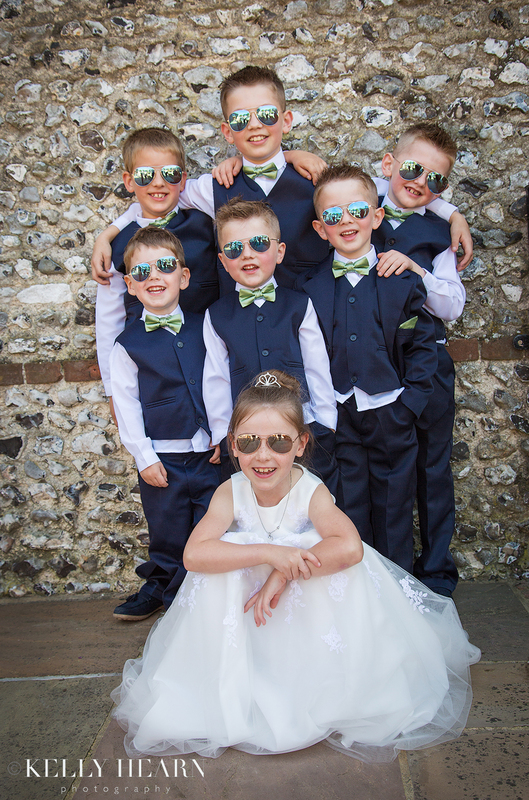 If you have children at your wedding or even thinking of a photo shoot for your children – you will witness this. The children bought into her authentic, non-patronising way – she had them in the palm of her hand. Even the little wrigglers and those with ants in their pants! After the wedding when we went to view the photographs, we were blown away by the quality and the choice. It was really very difficult for us to choose and we couldn’t always agree on which ones we liked – there were so many. Kelly was so helpful and supportive at guiding us and said things like “maybe you should keep that one over this one, as that is one of a few photographs that (name) is in”. We really appreciated this as it helped to focus us – albeit eventually! In the end we decided to opt for an album, rather than the box set that we had originally planned. We are so glad we did. When we take our album from the bespoke briefcase it arrived in to look through it, one thing is evident - how well it is put together to tell the story throughout the day. It totally captures the ambience. They say a picture tells 1,000 words, well you can imagine what this album says. For us this is the work of an artisan. Anyone can put photographs in an album, but it is the way that Kelly edits it, that brings it to live. The shape and size, the colour, the positioning on the page, the detail around and outside of the photograph. We feel that we have an heirloom to pass on that can be enjoyed for generations. It really is a work of art; the quality is undeniable and everyone that we have shown it to is in awe of the craftmanship, let alone the stunning photographs themselves. We got married on the same day as Harry and Meghan and if we were offered their photographer we would have still said “thanks but no thanks, we believe we have the best already”. Oh, and the blogs - this made our excitement grow tenfold and these are wonderful keepsakes too. They were really very special, and our families and friends enjoyed them. As one of our friends said, “how to sum up the most perfect day”. A whizz at words and pictures is our Kelly! I wanted to write this as our little blog. Not to send a testimonial to Kelly but to share with you our experience of working with Kelly and what you might experience. You have got to have a connection with your photographer - how else are you going to capture a genuine smile if you don’t have that bond. On our last visit to Kelly’s studio, it was bittersweet. It was the end of a special time; the build-up of our wedding was over and the fact that we had no excuse to pop in to visit. We both felt sad that we were saying goodbye to someone that we had so enjoyed spending time with. But we will always have Kelly and Rachel with us, through our wedding video (where we can see the laughs, we had together taking our photographs) and through this wonderful perfect album which surpassed our expectations. So, if you are deciding who to choose or you have just discovered Kelly and if like us you are asking yourself “How could we afford Kelly Hearn?” I would simply and confidently answer “How can you afford not too?”. Photographs are memories for life. Kelly is priced competitively but her photographs and the way she works alongside you is priceless.